We are so stoked to announce that at the 2013 World Beer Awards our Amber Ale and Session Premium Lager added two more gold medals to the brewery’s extensive list of awards and accolades. 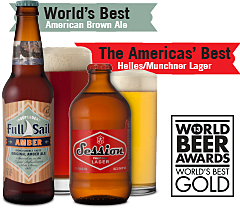 On top of that our Amber was named "World's Best" and our Session Premium Lager was named "America's Best". The World Beer Awards are the global awards selecting the very best internationally recognized beer styles. This annual tasting selects, awards and promotes the ‘World’s Best Beers’ to consumers and the trade throughout the world. From our Session Lager to our bourbon barrel-aged beers, balance and elegance are our defining brewery characteristics. We don’t brew our beers to win medals, but we are honored when we do. 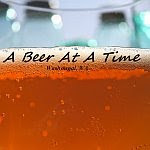 We know that you, our customers, are the ultimate judges and we strive to consistently brew elegant, complex, and balanced beers with you in mind. Over the years, our passion and commitment have earned us a long list of awards and accolades. Thanks to all our beer fans and friends for your ongoing support! In Hood River, every year a few undeniable signs signal when winter is at the doorstep. The cool east winds begin to blow, Mt. Hood and Mt. Adams get a white blanket of fresh powder, and the snow report for the backcountry regains its trance-like hold. But most of all, we know its winter because Full Sail holiday beers start flowing once again. It all began back in 1988 when we began our tradition of holiday brewing with Wassail. 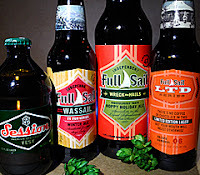 Traditionally, these beers were a bit more of everything - malt, hops and alcohol - to emphasize a brewery’s appreciation for its customers and to reflect the richness of the holiday season. Wassail will be available in 6 packs and on draft from October through December. ABV 7.2% IBU 56. Over time we have continued to add to our holiday presents. Wreck the Halls, in our Brewer’s Share series, is a sublime hybrid of an American style IPA and a “Winter Warmer” style strong ale. Wreck the Halls will be available on draft and in 22oz bottles in early November through December. ABV 6.5%, IBU 68. Session Fest is our Session holiday beer that comes in a stubby little bottle, makes a great stocking stuffer, and is the perfect beer to leave by the fireplace for Santa or Santa's little helpers. Session Fest will be available in 12 packs from October through December. 6.2% ABV 26 IBU. 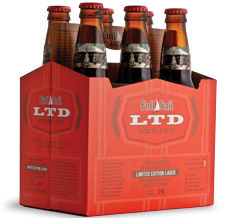 The holiday beer for our Limited Edition Lager Series is LTD Black Bock. It's lush and full-bodied, with hints of roast, coffee, and chocolate in the aroma followed by flavors of caramel and figs with a long creamy smooth finish. The sixth beer in the series, our LTD Black Bock is brewed as a Czech-style Cerné Speciální with 2 row Pale, Munich, Caramel, and Chocolate Malts and hopped with Santiam and Perle hops. LTD Black Bock will be available in 6 packs and on draft from October through December. ABV 7.0% IBU 34.